Avoid sitting on glass tables as the glass may break. 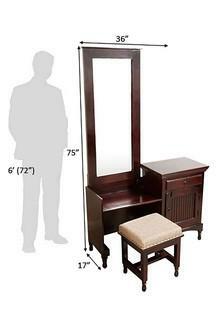 Dust your furniture regularly with a soft clean cotton cloth. Do not use liquid or aerosol products. Do not leave spills unattended. It is always advisable to keep your furniture away from direct sunlight. Always use coasters or mats while keeping hot materials on the surface. Get the best in class products made of quality materials for long term furniture needs from our furniture collection. 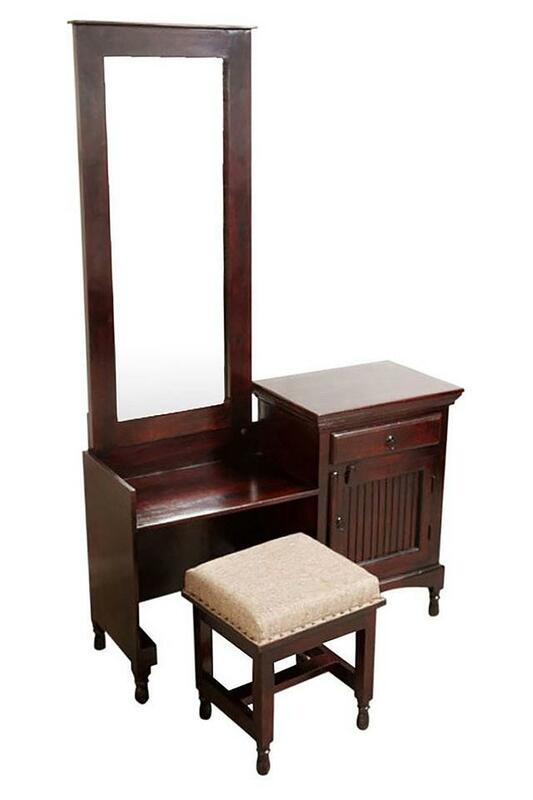 Equipped with a tall mirror, this dressing table has everything you need to get ready before you head out. Its spacious drawers provide ample room for accessories and cosmetics, while the table top can be used to place essentials within easy reach. Dimensions - 91 x 43 x 191 cm.